And let the sensuous thoughts flock our minds over. And your every touch heals me of all sorrows I must confess. The taste beautifies our love so pure in this lovely relationship. Making me love you even more and losing my sanity. Dipped in your romantic syrupy wine so irresistible which has soaked me completely. Just like this red wine melts down my throat slowly and hungers for more with greed. 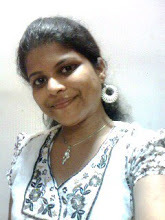 Elvira is a Fun-loving person, Avid Bollywood fan, Blog-Writer and dedicated towards cause for Thalessemia. Born in Mumbai, having an MBA finance degree , she is currently working in a corporate bank. She is a keen enthusiast and loves to play the guitar, dance, reading books etc. and creative to make innovative handicrafts at leisure. As she quotes, “Writing poems has been my passion since young and now have an blog Its My Life to emote my feelings and thoughts with friends. Poems on love, life, relations, abstracts, nature etc”. A budding poet, Elvira has her works (25 poems) published both at the national and international level in different anthologies.